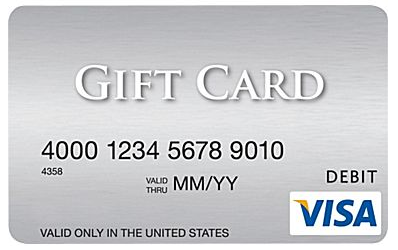 GiftCards.com Free Shipping on Visa Gift Cards – Today Only! Giftcards.com is offering free shipping on Visa gift cards for today only when you use a code. The discount works on up to 3 cards per order. A collection of posts that caught my eye including the topics of the SPG Amex marketing machine, manufactured spending as a hobby & a new eBay gift card deal. Officemax is offering $15 off the purchase of $300 or more in Mastercard gift cards instantly. Find out the details, how to maximize & where to liquidate the cards. Kroger has brought back their popular 4X fuel points promotion on gift cards. Find out how to maximize by stacking it with digital gift card coupons & by purchasing fixed value Visa gift cards. A breakdown of three brand new potentially profitable Amex Offers for Best Buy, Chili's and Zappos. Find out the details & how to maximize the deals. Gift Card Wiki continues to innovate with the addition of two great features, one of which is a real game changer! $200 Visas Return to the Staples Website & More Good News! Last week $200 Visas disappeared from the Staples website and a new limit was implemented on other cards. Fortunately the $200 cards have returned & there is more good news to report. eBay and Paypal Digital Gifts are offering $15 off $100 or more of select gift cards. This deal died once, so it is possible that it won't last long. Good way to burn eBay Bucks and possible 5X with Chase Ink as well.